Today maybe a darkest day for Hong Kong Disneyland, because the Pleasant Goat and Big Big Wolf has their own products selling in HKDL from today. This Chinese cartoon is not being welcomed by the Hong Kong people since the first day showing in HK. It is because its low quality cartoon and the stupid plots. After the news that Disney got its broadcast permission on Disney channel, the Hong Kong Disneyland fans started to worry about when would this cartoon invaded HKDL. And finally, here they are. These products are totally unacceptable. The products are just like those "Shanzhai" products. 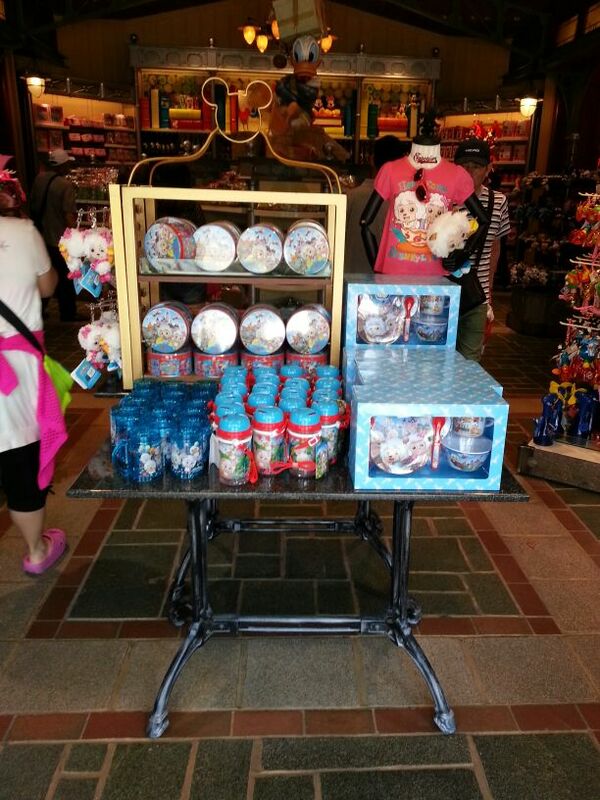 We should not have any of these ugly products selling in HKDL. HKDL are just using these low quality products to earn more profits from the mainlanders, they never thought of these products would destroy the image of HKDL, and also the Disney brand. The goats are standing in front of the castle and just like they kicked Mickey and Minnie out, and they are the main character of HKDL. In a village of China, two brothers got serious burn by having a role play of this cartoon. They are having the role of the goats and pretending being cooked by the another kids, which has his role of the wolf. The two kids were tied on a tree and the other light up some fire below them to pretend cooking the 'goats'. Unluckily, the two 'goats' catch on fire and have a serious burn. Last edited by whaleatcoast; 05-13-2013, 01:06 AM. I wouldn't be surprised that shanghai Disneyland would built rides or attractions themed with these Chinese goats and wolves....since mainland partner of Shanghai Disneyland wants Chinese elements in their theme park. I don't know how to say, but in my view Disney is not just a business. They should not just focus on the profit and destroy the image of Disney. Ugly !horrible! Cheap! Just cheap cheap cheap! Not Disney ! Why in Disneyland ?! Please go back to mainland SHDL! I've seen these characters around mainland China, rather ubiquitous really. So I suppose as a non-local, I'm curious as to, apart from being non-Disney, why is it this so offensive? Most of the locals don't like this cartoon as its poor quality and ridiculous plots. Another reason maybe it is a Chinese production. Actually I think not much mainlanders would buy these products in Disney because they would more likely to buy something more Disney to show off among their relatives or as a gift for their friends. They can buy the products of the goats in a low price(like 10-20 rmb) in mainland, so why would they choose to buy the key chain plush which cost about $78HKD(about 61 rmb)? It is a bad and stupid marketing strategy which just ruin the park and the brand of Disney. These photos are quickly forward on Facebook and the popular forums in HK. As I see, there are rarely any positive comments for these products, most of the comments on the Internet are saying HKDL ruining their brand and do this for more profit. And many people are saying that they would never go anymore because of this goat appear in HKDL. whine, whine whine, hong kongers complains too much, you do know that this cartoon is for kids age 1-8 right? i assume you are not under 10, btw, ever since the inception of hkdl, hk people just just complained and complained, no wonder the walt disney company got a bit tired and decide to build shanghai disney resort as a competitior.